As 2015 comes to a close, it is now time to begin the official discussion on the R211. The reason this thread was not merged with previous R211 discussions, is because everything you thought you knew about this program, just isn't so anymore. As I said back in 2010 and 2011, I would pin a thread for this train ONLY when the MTA officially begins the program. Along with the information I received from the MTA, Shane (CaitSith) provided me with the final piece with the actual black and white. Funding has now been confirmed ladies and gentleman. That means the program is officially a go in 2016. 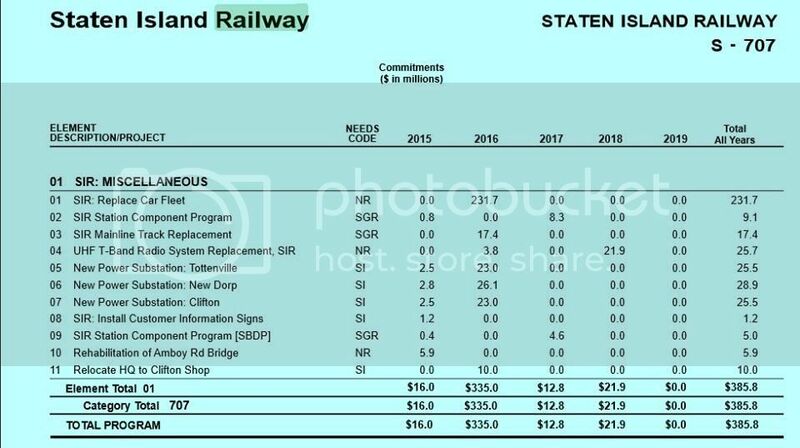 For starters, all this new information indicates that Staten Island will get them first! This procurement is expected to commence in the not too distant future after the R179's have arrived. And to a further extent, the ONLY funding that I have been informed of is for Staten Island. So it looks as if B-Division will not get any of the cars other than a pilot until the entire SIR order arrives. These cars will be the latest technology and will build upon all the lessons learned throughout the R143, R160, and R179 programs. At this time I do not know exactly what this technology will be and that is why MTA is investing in the R&D of the train throughout 2016. In preparation for the new cars, and in light of the R179 debacle, MTA has decided to invest significantly into new SIR cars first. From the open-gangway prototype, to the new R211, we can see that the next wave of the most technologically advanced trains we have seen to date will all in fact start off in Staten Island. Now remember anything beyond funding in 2016 is subject to R179 progress because MTA wants to build on the technology of that train. Also remember that with the MTA, and the fact that we only have 2 qualified train manufactures anything is subject to change. Including the R211 designation. Funding for the Mainline cars will begin in 2016 as well. There is a gap in 2017, and a resume in 2018 as the cars will be near identical to the ones for SIR with the exceptions of the FRA standards that will need to be implemented. I wonder if they'll be called ME-3s, then. The MTA board seems to favor the MTA going out and looking for other vendors in the future. I mean, how can you have competition when almost half the time, it's Kawasaki and Alstom alternating on orders with Bombardier coming in as a third? When it comes to open gangwys though, Bombardier has built many trains of that type, as have Alstom. So its design 2016 ,award 2017? ,delivery 2020? Or am I horribly off? Isin't there already an R211 Discussion Thread? Yes you are horribly off! lol. But that's ok. I am being told R&D and design begin in 2016 and run through 2020. 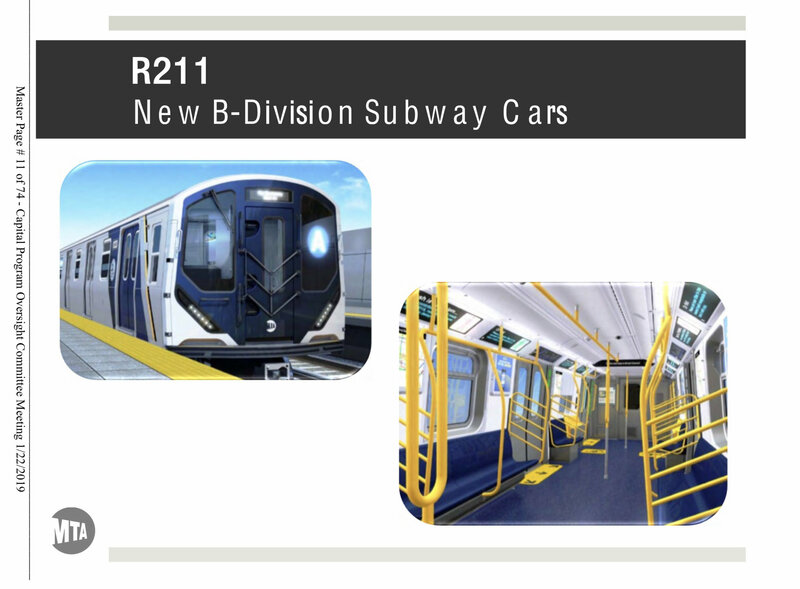 Firm Car Configuration & Design Freeze is expected sometime shortly thereafter, and only after at least the majority of the R179's have been delivered, then the final specs will be put out for bid as the MTA sends out RFP's. I don't expect prototype delivery until at least 2023 or later. Everything is subject to funding from the next capital plan. What MTA accomplishes on the program in 2016 will determine the actual timeline. As of right now these are only estimates, and they will most likely change as the MTA actually finalizes the design, and prepares to select a manufacturer. Also remember the R179's will be a factor as well because the MTA wants the R211 to be common for parts and maintenance savings, but underneath may be a whole new train. Futher delays in the R179 program could impact that of the R211 in many ways. MTA could move to delay award to further evaluate Bombardier, or they could go ahead and plan this out so the R211 arrives right on the heels of the R179. 2016 progress will give us a better assessment of where things are headed. After reading the whole thing my bad Ignore my Quote from before so the R211 is basically supposed to be a combination of the R160, R143 and R179 and is Bombardier building these or Kawasaki? If Bombardier is building these subway cars let's hope delivery won't take forever if kawasaki is building them, then I will be seriously concerned about the weight issues because kawasaki has had serious problems involving weight issues in the past. Is it known whether the SIR cars would have FIND or strip maps? It is not known who is building the cars. They have to be designed, and a builder has to be selected. That will take a considerable amount of time. Although I have not actually been able to confirm, it has been said that Bombardier is now suffering weight issues with the re-work of the R179. Yes. All new trains will have FIND. The only reason the R188 does not is because the R142's don't. Another rumor is that Bombardier is using the good scrapped parts from the original pilot train onto the 2nd version. I have not been able to confirm this ethier. Ain't R211 supposedly be a 940 car order and the ones for SIR supposed to be 80 cars right. Uh, no. Every single car contract going back to before the R32s has stated that no parts from a rejected car are to be reused on another car. When the R211's come, right, which line(s) will it most likely run on? Waaaaay too early to tell. So if they really did that, its breach of contract? So its 20 4 car trains for SIR?Or will they use 5 car sets like the mainline (16 trains)? ENY ,do you know if the SIR ones will show the destination on the front like now or show just the SIR "bullet"? I would think 5-Car sets as that's the same length as the 4-Car SIR R44s. I wonder if the R211's will also feature modified door controls like on the SIR R44's. They would since certain platforms aren't long enough for all cars. I'm going to go out on a limb and say possible tech included could be selective train door opening. what rumor? And sorry, but you haven't posted accurate info in the past, so i am skeptical about this claim. i would think they could push out the r160s at jyd to the A. That way jyd would have all the r211s. If there's another line that gets the shaft as far as old trains, it is the A line. Since the sirt runs 5 car r44 trains for the rush hours, i wonder if they would run a 6 car r211 train? If they run 2 car r44 trains at night, would they run a 3 car r211? For all we know, the SIR cars will be the exact same setup as the Mainline cars, not including FRA required addons, of course. Permanent 5-car sets. With longitudinal seating and more doors, capacity should not be enough of an issue to warrant the need to add or take out cars during the rush. BUT, I'm likely completely wrong on that and we may see at least three 2 or 3 car sets for late night service. Especially since trains fun every 30 minutes overnight now.